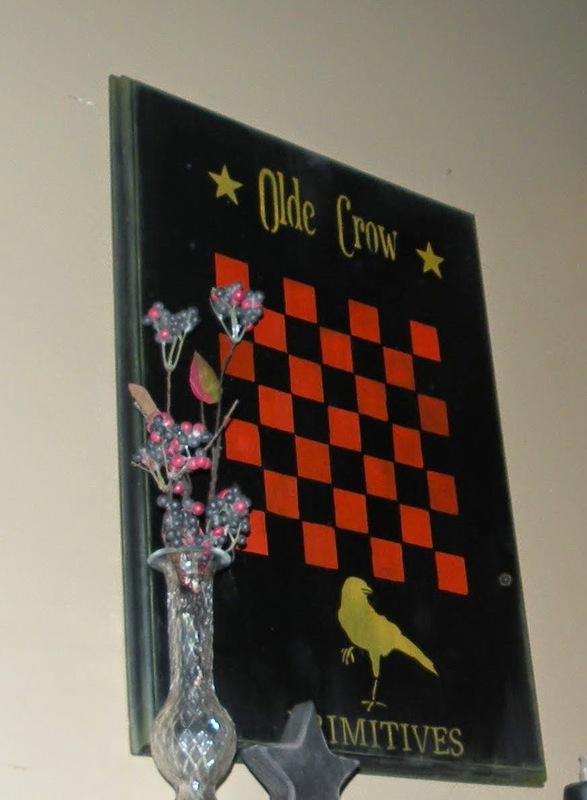 Here's an primitive looking, "old crow" themed game board I made. I used a left over kitchen cabinet door from my mother-in-laws remodel. It was one of those solid wood doors, so I knew it would be great for something. First, I painted it a flat black. 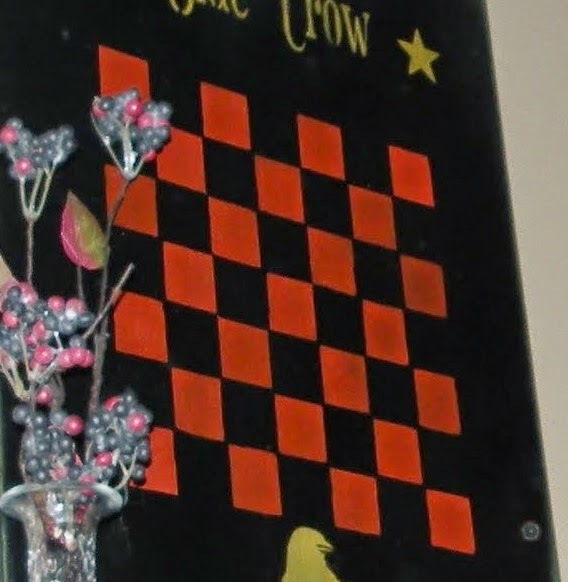 Then I stenciled on the red checkerboard using a checkerboard stencil I found on ebay. 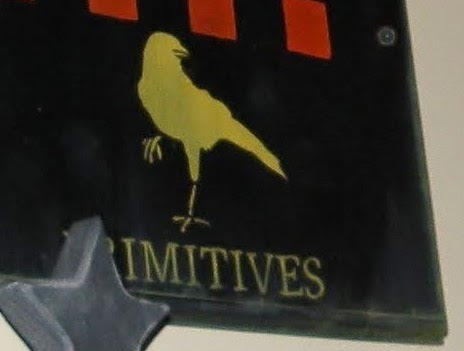 And then after all that dried, I went back and stenciled on the yellow "Old Crow" wording and figure and stars. These stencils I also found on ebay as well. And to finish it up, I took some yellow stencil paint and scuffed up the edges to make it appear a bit older. If you don't have the yellow, you can always use sandpaper. I also painted the little shelf underneath, and just stenciled on the saying. I love them displayed together. PRICE of Checkerboard: $14.99 SOLD in my Booth #555.